It is easy for you to create no-sew pillows rather than the normal traditional pillows. 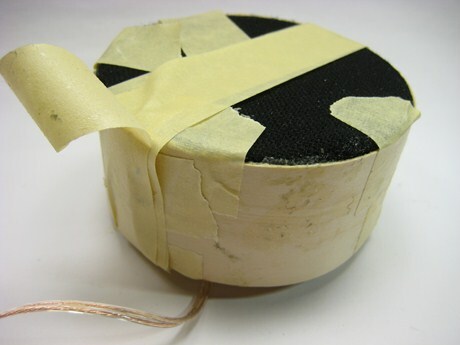 It can be done just by using fabric glue or even with a fabric tape. The fabric glue is used for securing the fabric pillow’s edges in order for you to skip using your sewing machine, needle or thread. Having throw pillows in your house is good because you can easily decorate them wherever you want and it is also suitable to be used on beds, chairs, and also your sofa sets. If you want to purchase ready-made fabric glue pillows, it will be very expensive and it is really good if you can make it yourself. Below are some the tips that you can follow in order to make fabric glue pillows. First thing that you need to do is to cut your fabric into two pieces according to the size that you desired for the pillow. You must make sure that your fabric pieces have the exact same size. One piece of the fabric needs to be placed on top of the other in order for you to make the patterned side faces you while the back of your fabric touch each other. The next step is for you to lift the bottom edge of your top fabric’s piece before you start to press a thin bead of fabric glue by following the bottom edge of your bottom fabric piece. After that, you can proceed with replacing the fabric’s top piece and smoothly press in into your fabric glue. Then, you should repeat the process of gluing on the other two sides of your fabric. Make sure that you leave the fourth side always open in order for you to insert the pillow. After that, you should leave the fabric to sit right until the glue has dried thoroughly. Next, you need to stuff the pillow with the filling of your choice. The most common choices include pillow foam, feathers or cotton stuffing. After that, you have to pinch a thin bead of your fabric glue by the side of your final open edge of the bottom piece of your fabric. Proceed by pressing the top piece of your fabric piece into place accordingly and let it sit. Make sure to leave it to dry thoroughly. There are many types of filling that you can use for your pillow. It does not matter what type of filling you are using, you need to make sure that you stuff the pillow full. Expensive filling normally can resist flattening after being used over time but after a few years of usage it will eventually get flat like traditional poly-fill pillow. You can also fold each of your pillow’s edge and then pin them together in order to get good finished edge at every angle. The main point here is to enable the top side which is the decorative side on each of the pillow’s panel would be able to be folded over facing one another from the inside of your pillow. Each of these sides needs to be glued together inside the pillow. You must be careful when you remove each of the pin before you add glue along it’s inside of one fold and attach the second onto it. By doing this task, you would be able to get similar look to the other three sides. Make sure that you hold the pieces securely while waiting for the glue to dry before you start to continue until the edge is finished and you managed to remove all the pins. The glue must be left to dry completely for at least 12 hours or for better result you can just leave it to dry for 48 hours. You can also add some decoration to the pillow by adding a few glue ribbon, fringe, or beads at the edge of the pillows. In addition, you can make use of strips of fabric as the frame of your pillow as well as adding interest across the pillow by using glue or fabric tape. Apart from that, strings of beads can also be glued onto it in order to create a nice pattern to the pillow. If you are creative, you would be able to use fabric paint and make designs that be appealing to the eyes and also matches your existing décor. It is recommended that you make pillows with square or rectangle shapes. It is alright to make other shapes but ensure that you be extra careful when you are applying your fabric glue. You need to cut at least 1.5 inches on each side of your fabric piece to enable the fabric to be hooked up together with the other pieces. This entry was posted in Home Improvement on March 15, 2012 by Mike.